Free + Games = Happy Homeschool Mom & Kids! I am being compensated for my time to write this review. All opinions are my own! I was not required to provide a positive review. 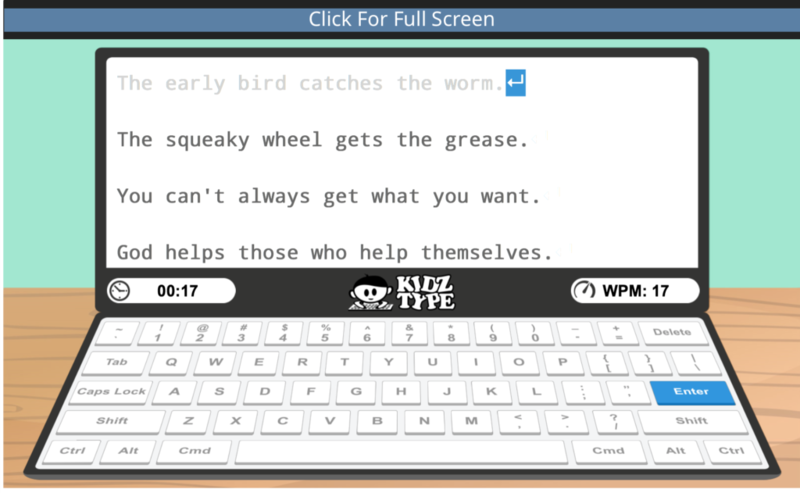 As the video says “Practice, practice, practice, and finally you will become a pro typist.” And that is exactly how KidzType has been designed. 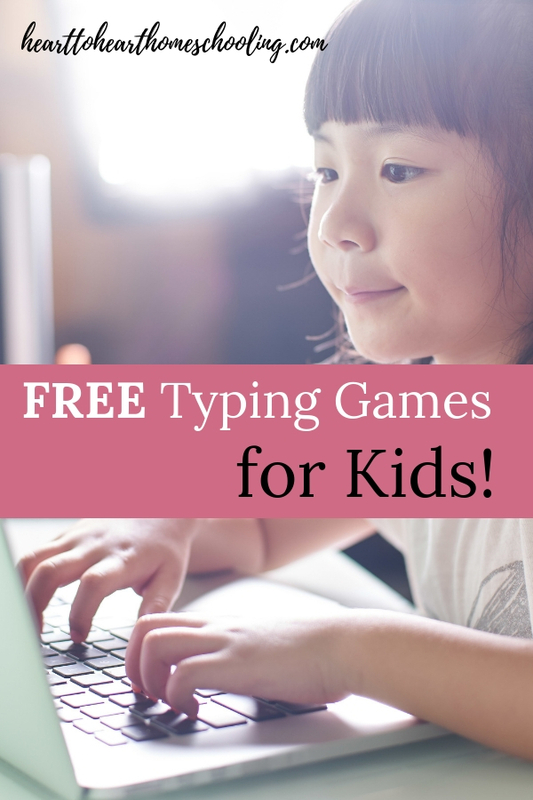 To help your kids learn and practice, practice, practice through fun typing games. Games that will keep them coming back for more—the kind a good ninja homeschool mom uses to sneak in learning. Dance Map Typing is the home page of KidzType. 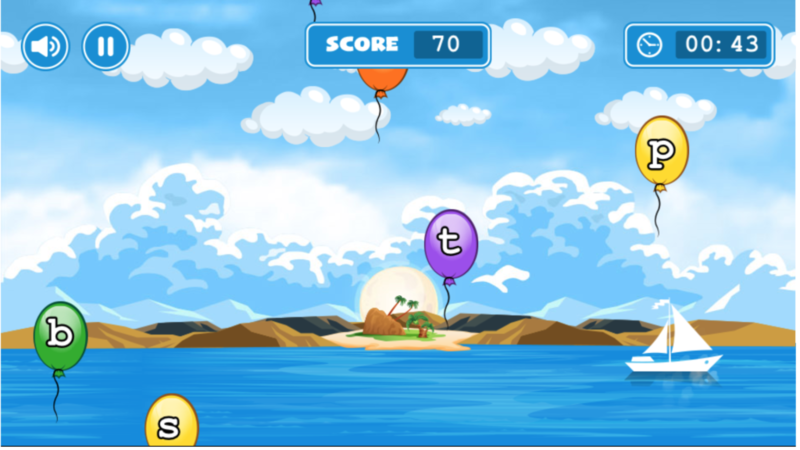 Here you’ll find multiple levels and stages. Your kids can pick up where they are, or if they haven’t done touch typing before, start from the beginning. Yes, you can use it with children of multiple ages and skill levels. Isn’t it great to be able to have one resources all of your kids can enjoy? Teaching Tip: Have each of your kids create a personal chart to keep track of their progress! 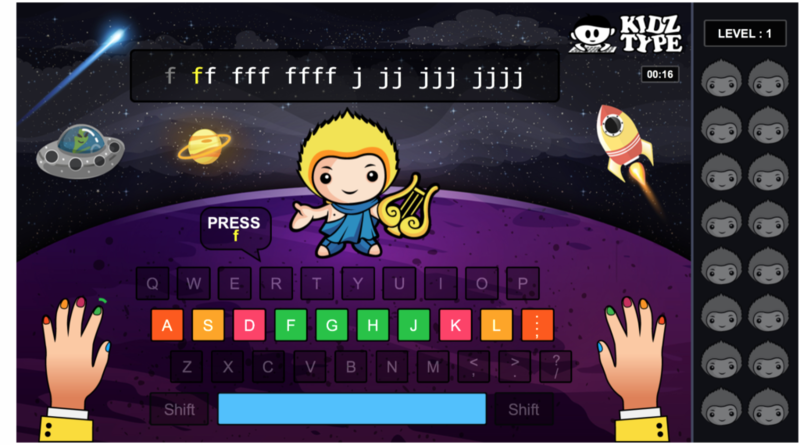 You’ll notice that in Dance Map Typing, the finger nails on the left and right hands are color coordinated with the keyboard in the picture—so your kids know exactly which hand and finger to use. On the top row, the letter they are supposed to type is highlighted in yellow. As they progress through the lesson (disguised as a game 😉) the heads light up on the right. The Typing Web Lessons include ones for each row, shift keys, numbers, and symbols. This really is a complete resource! Students can choose between 1, 3, and 5 minute lessons too. They see how much time they have left and their “words per minute” right on the screen, helping them by giving immediate feedback. Once they learn where the letters are and where to put their fingers, they are ready to practice using the typing games. Once again, KidzType includes games for every skill level, from typing a single letter or symbol, to longer words. A few of the games even allow your students to race against others. Even with the individual games, your students will find easy, medium, and hard levels. With 16 games available, kids have plenty of choices. Note: I know some families don’t really like zombies and vampires which a couple of games feature. So if you are concerned about that, just check it out and monitor your kids usage. They are very “cartoonish”, but I just wanted you to be aware! There are some games with just planes, but really…who doesn’t want to race planes with owl pilots. When you go to the typing practice section your children can practice specific rows, symbols, numbers, sentences, and even paragraphs with 1, 2, or 3 minute drills. There are 30 practice sessions available, so you’ll find plenty for your student to practice with on a regular basis. There’s another site similar to KidzType called TypeDojo. But instead of free typing games, they will find free typing tests where they can see just how much they have learned. With words per minute and accuracy percentages right on the page, students once again get immediate feedback on how they are progressing. You’ll find the following tests with multiple options under each. You’ll also find this handy touch typing chart 🙂 It shows the correct posture and hand position that is key to student success. KidzType is a great resource for homeschool families. Because it is free, there are ads on the site, so just be mindful of that when kids are working independently. Your kids really can use this to become proficient at touch typing, so I would encourage you to check it out and play around with it yourself. Then bookmark KidzType so your kids can find it easily. 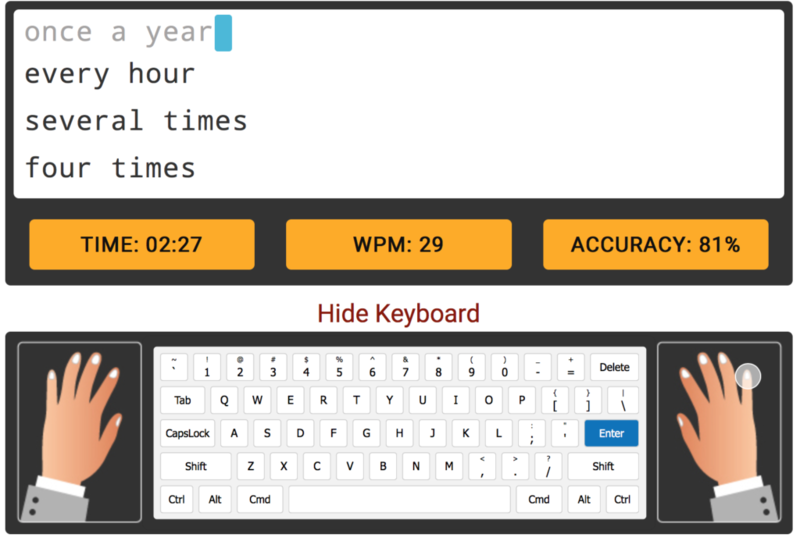 I found myself trying to beat my last WPM “score” though I tend to struggle with accuracy apparently (just ask anyone I’ve ever texted). Wonderful resource–thank you for sharing this!